If we were handing out a Best Dressed award for the Oscars red carpet, there’s no denying Lupita Nyong’0 would be a top contender. She’s always a winner, and this year, her custom Versace gown looked like an Oscar trophy while evoking the fierceness of a Wakandan warrior. With it, Nyong’o has solidified her position as a star who slays. While we can always count on her for a gorgeous frock, it’s also her hair that turns heads. She stars in Black Panther, which proudly highlights the variances of natural hair. Nyong’o decided to style her hair in an equally regal fashion for the ceremony. Her black and gold dress was topped off with the a chic hair accessory: gold thread that intertwined around her updo. Because hey, if you’re wearing a gold dress, you might as well keep the gold-on-gold going! 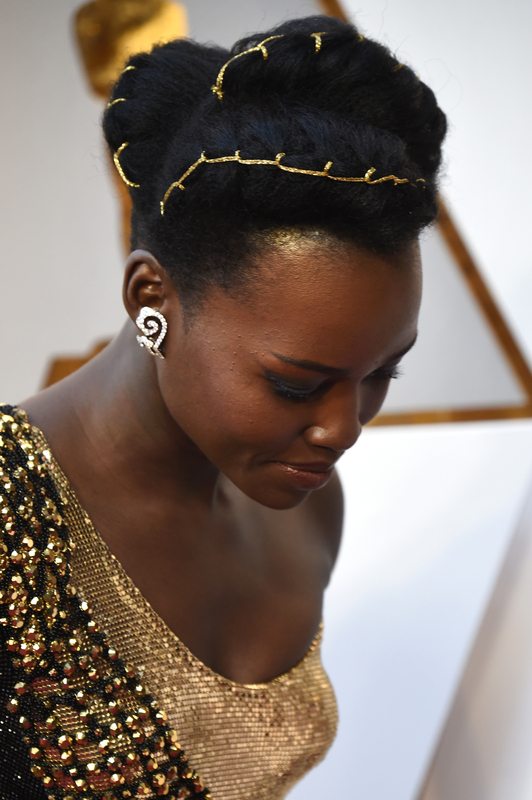 "Lupita’s look was inspired by images of Amasunzu hairstyles, which are traditional to Rwandan culture. We wanted something clean and sculpted to accent her dress and show off the neckline." François created what he calls a “contoured structure” that highlighted the neckline of her asymmetrical Versace gown. A simple bun or top knot wouldn’t suffice for our queen. 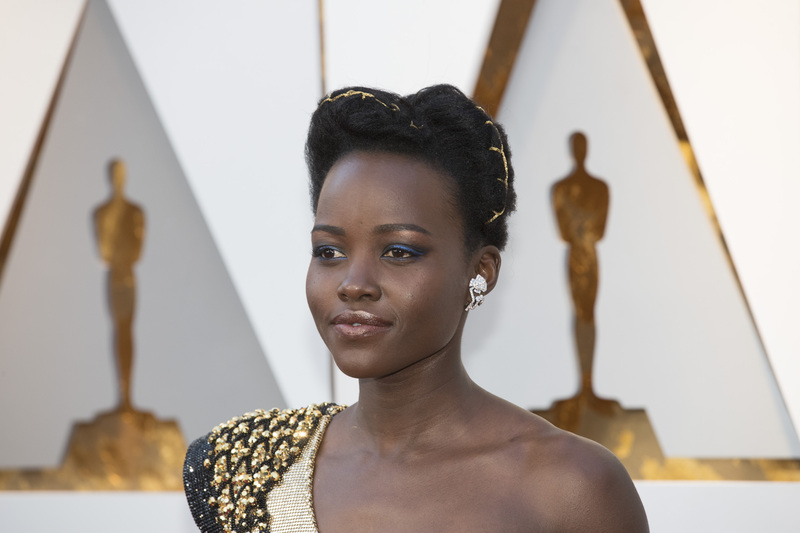 While most of us limit accessories to a necklace or earrings, Nyong’o went a step above. The look was completed with gold thread weaved through and around her hair. The perfectly coiffed and structured hair looks like a work of art. Every angle is straight perfection. Hair truly is a great accessory and it’s even better when there’s a significant meaning behind it.